With over 25 years of experience in commercial real estate, Keith Sturm is the Principal and CEO of Upland Real Estate Group, Inc., which he founded in 1995. Under his leadership, Upland has been consistently recognized as one of the top commercial real estate brokerage firms by the Minneapolis/St. Paul Business Journal. Keith has also been awarded the “Power Broker” in four out of five years since 2010, as a Top Brokerage Firm in Sales Transactions by Real Estate Forum and CoStar. Keith has many responsibilities as Principal and CEO of a small firm, working to create big business services with the attentiveness you expect from a boutique shop. Besides the day-to-day tasks of running a business, Keith also oversees both net lease sales and the brokerage team. Keith has completed over 650 net lease transactions, totaling more than $1.7 billion in national real estate investment sales. In addition, he has represented both landlords and tenants in leasing over 2 million square feet of office, industrial, and retail space. Passionate about his profession, Keith is an active member of the regional real estate community. 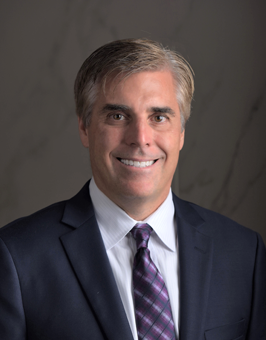 He has served on many boards and committees over the years, including President of the Minnesota/Dakotas Chapter of CCIM in 2004, former President of the St. Cloud State Real Estate Alumni Association, and current member of the St. Cloud State Foundation’s Real Estate Committee. Keith has also been recognized as a Top Agent Who Scored Highest in Over Satisfaction by Twin Cities Business, two years in a row.